Freelance writers, new or old-hat, need writing portfolios as an addendum to their resume. The published writing samples contained in their writer's portfolios, like the artwork in the artist's portfolio, is a way of sharing their body of work with prospective employers. Having their writing clips collected in one place - a portfolio or e-portfolio - keeps their writing samples available at a moment's notice. It's best to keep all writing samples old and new. However, once the writer's list of writing clips expands beyond a certain point it is no longer practical to carry them all in their portable portfolio. Older samples are best archived. When does a writer begin archiving writing clips? When is the cutoff point? That's a decision best left to each author. But keeping an index with each year's clips or samples, will help writers find older writing clips that may be appropriate for showing to future employers. (You know, that travel article you wrote 3 years ago? Your next employer is looking for evidence you've written travel articles). For freelance writers just starting out, and who have few if any articles published, volunteer to write as many freebies as you can afford until your begin having clips with your name on them. These include local neighborhood newspapers with small budgets, favorite causes, startup magazines and e-publications, screenplays or stage play scripts for startup production companies. Even blogs can fill a writer's portfolio. It's advisable even for published writers to write freebies on occasion just to keep your name out there, especially when paid writing opportunities are on the lean side. Anything that has your byline, a publication name, and a publication date (if possible) is fodder for the writer's portfolio. For freelancers who can write on a number of topics, or in more than one genre, can sort their portfolios by topic or genre to be used for different jobs, matching the clips to the job being applied for. Setting up your own website and/or blog site is an ideal way to showcase your web skills as well as your writing skills, and acts as a way for potential employers to locate and contact you as well as place to provide links to your writing published on other websites - all for little or no cost. For clips published in print, keep one entire copy of the publication with your story printed in it as evidence of which edition the story was published. The publication shows the publication number, the name of the publication and the date as well as the writer's byline. For stories published on websites, print a hard copy of the article which will show the website name, the URL, the writer's name and date that it was published (in most cases). If you print it out the same day it appears on the website, the printing date appears at the bottom of the page next to the URL. Keep an index of all stories written, categorized by website, and be sure to include the URL to link to that story. You may have to go through the index occasionally to see which stories are still available online, and which ones have been deleted or archived by the website. Writer's Portfolio - The Paper Version: Purchase a 3-ring binder, preferable one that zips closed and has handles to carry it (check office supply stores). Insert clear plastic slip sheets meant for carrying 8.5x11 inch pages or 8x10 inch photos in a binder (also available at office supply stores). Make 2 to 3 copies of each print or e-clip, and place them the plastic sheets. The 2 to 3 clips for story #1 go in to the first plastic slip, the copies for story #2 go in the second plastic slip, and so on. They are ready to carry with you. Save one of the plastic slips for copies of your resume and a second plastic slip for types references. Writer's Portfolio - The Electronic Version: Scan in paper publication writers clips to your computer and store them in a folder on your hard drive and in a secondary location like a thumb drive or a CD, to be kept separate from your computer. If need be, sub-categorize them by publication, topic, or genre. For stories published online, keep an index file by e-publisher that includes story name, month and year of publication, and URLs for each story. Also keep a copy of your story where you wrote it on your word processing program and saved to computer before copying and pasting it to the e-publisher's website. Keep these stories in folders by publisher, with sub-folders categorized by month and year of publication. Save these files to the hard drive and to the secondary source (thumb drive or CD). Make sure these files include any photos you uploaded with your stories. Keep a hardcopy of the word processing document along with the downloaded copy from the website. Since you indexed the URLs for your stories, you can copy and paste them to an e-mail body to send to potential employers. They can also be pasted to your blog or website either as links or as references that others can copy and paste into a search engine to look up. 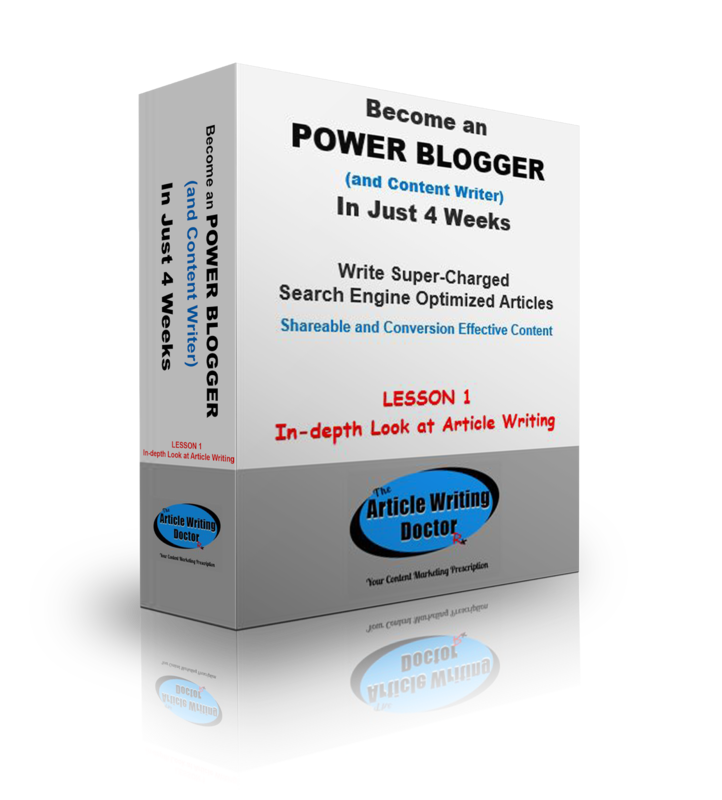 This is a way of turning your personal blog or website as an online writer's portfolio. The URLs for your e-stories can also be added to print articles, newsletters, etcetera, for readers to type into search engines. The advantages of having an online writer's portfolio include: not having to provide paper copies, or go through the cost of mailing them and the stories in your portfolio can be viewed in their original format rather than faxes or copies. Among the disadvantages? E-published stories are ready and waiting for someone to plagiarize, which is becoming a real problem. How many times have your researched a subject online and found the same article, word-for-word, supposedly written by three different authors - or more? There's also the problem of virus's being transmitted either from an e-publisher's website or across e-mails. With this in mind, some potential clients or employers may prefer to have a paper copy of stories from your portfolio rather than an electronic one. Whether online or on paper, keep your clips organized so that you can find your articles by topic, category or genre. That way you can provide copies of specific stories to match the clients' or employers' expectations and needs. Don't put all of your stories in an online portfolio. Separate the stories by genre, subject or category and linked to a button on your site. Provide readers with the only the best 2 or 3 stories under each genre, subject or category button. Send links to your stories or e-mail attachments as self-promotion to potential new clients or employers. Try to have a variety of samples that show the different writing styles that show off your writing skills - ads, articles, newsletters, promotional material, press releases. Periodically update both your paper and online writer's portfolios, archiving older articles and replacing it with newer material. As your writing career progresses, your portfolios will expand and your writing skills mature exponentially. Creating and updating your writer's portfolios seem like daunting tasks, but they are necessary ones. And if you make a habit of regularly updating both portfolios, you will always be ready when new clients or employers come calling and looking for new writers with current and exciting writing samples and a wealth of experience. Become a Power-Blogger and Content Writer in Just 4 Weeks will teach you to write super-charged articles and content that will be reader and SEO friendly, shareable, engaging, and will increase conversion. Boost your own business with this skill or make it a money-making part of your freelance writer’s portfolio. And, it’ll show you how to find prospects and work.